Life is meant to be shared in all its complexity, joy & messiness. 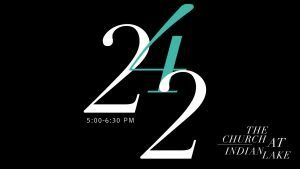 2:42 groups at CIL are how we connect, grow, share, and serve together. The name is taken from Acts 2:42 and refers to how the community of believers in the early church lived their lives. The groups are always open to new folks. The group meet in semesters with most groups occurring every other Sunday night in homes or on the CIL campus. One group meets for brunch after the 9:00am service. Primarily singles and couples in their 40s, 50s, and 60s. Primarily adults 50 and over. This group, primarily couples in their 30s, 40s, and 50s meets in the CIL lobby. FrontLine Student Ministries – Students in grades 6 through 12 meet on the CIL campus.